Teaching Instrumental Music is Kathy's passion. She teaches lesson here at Mike's Music and Sound and also teaches lessons and band at Shepard of the Hills Catholic School in Eden, WI. Kathy has studied Elementary Education and Instrumental Music at Northern Illinois University where she earned her Bacheler of Science Degree in Elementary Education and a Minor in Music. She believes learning a musical instrument can bring a student Joy, Discipline, Amazing Brain Connections, Friendships and life long Artistic Skills. She is also an active member of the Fond du Lac Symphonic Band, Clarinet Choir and Flute Choir. She also plays with the UW Fond du Lac Wind Ensemble and the Bell Choir at Ascension Lutheran Church. 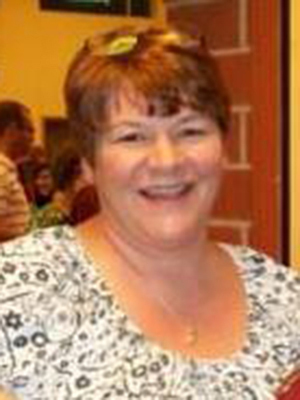 Kathy has been teaching lessons since 1983 and her students range from beginner to advanced. Lesson plans are individually tailored for age appropriateness, special needs and the increasing playing level of each student. She is very patient but demands her students' best efforts.